Gunman shot dead the head of Dubai government-owned P&O Ports’ operations in Somalia’s semi-autonomous region of Puntland, a local government official said and Islamist group al Shabaab claimed responsibility for the attack. 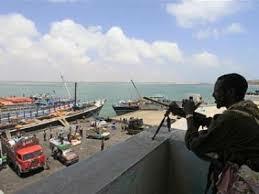 Yusuf Mohamed, governor of Puntland’s Bari region told Reuters two men disguised as fishermen shot Paul Anthony Formosa as he was going to Bosaso port . Al Shabaab said it carried out the attack and accused Formosa of being in Somalia illegally. “We are behind the operation. We warned him but he turned a deaf ear. He was illegally in Somalia,” said spokesman for Al Shabaab’s military operations, Abdiasis Abu Musab.